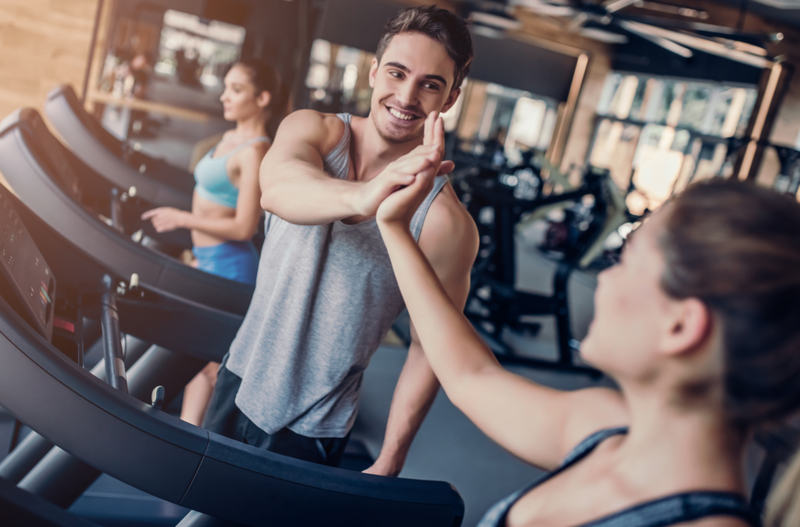 The debate on whether treadmills or ellipticals reign supreme in the home fitness world has been going on for some time. Both are extremely popular and found in home gyms around the world. Each has it’s own benefits and drawbacks, making determining a clear cut winner a pretty impossible task. Not to mention that everyones fitness needs and goals are different. 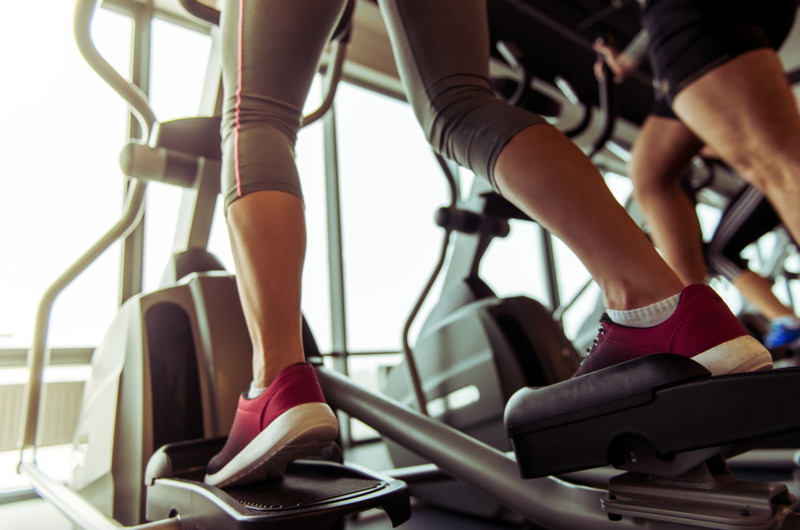 So, in order to figure out whether you’d be better off with a treadmill or elliptical, it’s important to know the pros and cons of each machine. It’s also important to do a little reflecting and decide what your goals are as well as being realistic about any physical limitations that might be present. The goal of this article is to begin an unbiased discussion about the two exercise machines and help you decide which one (or neither) is best for your home gym. We will discuss the benefits of each, as well as how to use your fitness goals to help in the decision making process. One of the great things about a treadmill is that they’re a no-brainer to use. You can simply hop on and start walking. Workout options and extra features will vary depending on the model of the treadmill, but you don’t have to worry about setting a seat height or dealing with moving handles. Everybody that’s using a treadmill knows how to walk (or run), so there’s really no learning curve. Although, if you haven’t used a treadmill in a while, it may take you a few minutes to get your balance back. The biggest benefit of a treadmill is how many calories you can burn using them. Personally, I hate running. I try to avoid running at all costs. But, if I’m trying to drop a few pounds in a hurry, I always return to running because it really does burn a crazy amount of calories. Running obviously burns a lot more calories than walking. And everyone will burn calories at a different rate depending on your size and how fast you are walking or running. The average person with a body weight between 155 -185 lb will burn between 125-150 calories per mile when jogging. If you’re jogging at 6.0 mph (10 min/mile pace) you could burn anywhere between 375 – 450 calories in 30 minutes! Try this calorie calculator to check for yourself. You can also burn a lot of calories walking at an incline. The higher the incline the more calories you burn…same goes with the speed at which you’re walking. Burning more calories means burning more fat too by the way. When weight loss is a primary goal, it’s tough to beat a treadmill. This is kind of a no-brainer, but if you are a runner or want to get better at running, you need to practice running. There’s just no getting around it. The only way to become a better runner is to run often, and the only way to run indoors is to get a treadmill (unless you have a REALLY big house, then maybe you could run laps inside?). If you have a treadmill with incline you can mimic different running environments- this comes in handy for practicing your hills or for interval training. Just keep in mind some treadmills are better suited for serious running than others. If you are a serious runner, you should check out my guide for running treadmills. Walking or running on a treadmill is a great way to get your heart rate up and keep it there for prolonged periods. While a lot of us might be exercising for weight loss, this same “cardio” exercise is great for our hearts. And this is just the tip of the iceberg. For more information, check out this article I found from the mayoclinic. One of the biggest things ellipticals have going for them is how low-impact they are. This means they are easy on your joints. Your feet don’t leave the pedals so there is very little stress going through your knees and hips when you use these machines. This makes ellipticals great for people who suffer from arthritis or aching joints. Ellipticals are so gentle most people can use them comfortably. Yes, most ellipticals offer handles for your arms. This is great because getting your arms involved turns the elliptical into a full body workout. This will help tone your arms and burn more calories at the same time. It also adds some much needed variety into the workout- I get bored very easily, and something as simple as concentrating on using the handlebars vs the leg pedals can help make the workouts more interesting (for me anyway). A lot of home ellipticals have incline options too. This adds intensity to your workout, which means you burn more calories and more fat. Also means you get more of the cardiovascular benefits I mentioned above for the treadmills. But it also means you can isolate different parts of your leg. For example, when the incline is lower, your quads and calves will be involved more. As you increase the incline, your hamstrings and glutes normally start kicking in more. You can isolate different muscles by adjusting the incline. Check out my review of the best incline ellipticals if you are looking for great incline features. I don’t want to play favorites here, so I need to say that ellipticals are really easy to use too. Even if you’ve never used one before, you shouldn’t have any issues hopping on one and feeling like a natural within minutes. And, since you get to hold on to handles if you want to, you don’t have to worry about falling off. Ellipticals are a great choice if you are looking for a nice, casual workout because the low impact motion makes it feel easier than using a treadmill. Treadmills and ellipticals each have plenty of perks and each can provide a great workout. But let’s talk money. If you’re looking for the most bang for your buck, which one makes more sense? This is actually a pretty tough call. Ellipticals and treadmills are priced very similarly and both come in all price ranges. Most of the best home treadmills can be purchased for a max of $3000. Commercial grade treadmills can easily run up to $8000-$10,000. Don’t worry, you don’t need to spend anywhere near that amount to get a great treadmill for your home. A lot of the popular home treadmills are priced in the $800 – $1200 range. You can also find budget treadmills for under $200- but you shouldn’t expect much from a treadmill this cheap. Not likely to last very long and it’s not going to feel very sturdy. Most of the best home ellipticals can be found for $2000 or less. That said, commercial grade ellipticals can easily cost $8000-$9000. But there’s really no reason to spend that much on one unless you really are opening a small gym or are planning on having multiple users. A lot of the popular ellipticals are also priced in the $800 – $1200 range. And yes, you can find budget ellipticals that are worth buying, but I wouldn’t go much cheaper than $300. So, when it comes to price, it’s more or less a draw. Ellipticals may be a little cheaper overall, but theres not much difference. Ellipticals and treadmills both come in a variety of sizes. Your average elliptical is between 6.5 – 7 feet long and about 2.5 feet wide. Your average treadmill is about 7 feet long and 3 feet wide, so very little difference. One thing you do need to consider for ellipticals is ceiling height. If your ceiling height is less than 8 feet, you need to make sure your head won’t be hitting the ceiling, because as you know, ellipticals bring you higher in the air than treadmills do. If ceiling height is an issue, you really just need to know the step up height for the machine. Add the step up height to your height and that’s the highest position your head will be at during use. Most home ellipticals have a step up height between 12-14 inches, but when in doubt, add 18 inches to your height. If your ceilings are under 8 feet or you are exceptionally tall, you may need to find an elliptical that is designed for low ceilings. One thing a lot of treadmills have over ellipticals in the size department is that they can fold in half when not in use. Folding treadmills can save you a lot of space because they do roughly cut the footprint in half. Most home treadmills are folding these days. In the size department, I would say treadmills come out ahead because most can fold in half for storage. But always make sure you to measure out your space carefully before buying a treadmill or elliptical. And make sure to leave a little wiggle room for comfort. This may be the winning factor for a lot of us when deciding on whether we should get an elliptical or a treadmill. When it comes down to figuring out which machine burns the most calories, you have to take a few things into account. First of all, you have to consider workout intensity. This means to get an accurate comparison, you would have to compare someone working out at the same intensity on each machine, and then see which machines causes them to burn the most calories within the same time period. Exercise intensity is usually measured indirectly by using a scale called the rate of perceived exertion (RPE) or more directly by measuring heart rate. Studies have shown that when people exercise at the same RPE on both a treadmill and elliptical, the energy expenditure is comparable. That is, if you work out at the same intensity, you can burn just as many calories on an elliptical as you can on a treadmill. This is good to know if you don’t like treadmills. But, since ellipticals FEEL easier, you are going to really have to crank up the intensity or incline on that elliptical to mimic the intensity of a treadmill. I would argue that the average person probably burns a little more running on a treadmill than using an elliptical because of the extra impact during treadmill use- your muscles have to work a little harder to absorb that energy. But according to that study any way, you can burn roughly as many calories on an elliptical as you can on a treadmill. The second thing we need to consider when talking about calorie burning is size. Your size. The bigger you are, the more calories you are going to burn. Doesn’t matter whether it’s on a treadmill or elliptical. A 200 lb person is going to burn more calories than a 150 lb person doing the same workout at the same intensity. So, when it comes down to calorie burn, the treadmill might have a slight advantage, but it’s more or less a draw. 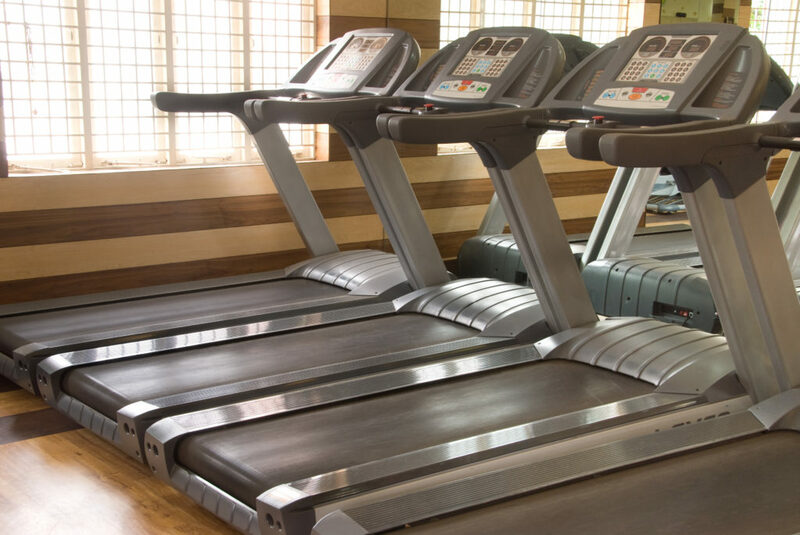 Treadmills and ellipticals are both very popular modes of exercise. They both can be found in commercial and home gyms around the world. They each have their pros and cons and neither machine is perfect for everyone. When deciding which machine is better for your home gym, you should consider what your fitness goals are and what (if any) physical limitations you have. If you are trying to get better at running, you should go with a treadmill. Running on a treadmill will make you a better runner than mimicking running on an elliptical. That’s all about specificity of training- long story short, if you want to get better at something, you have to practice doing that thing. If you have joint pain or mobility restrictions, you might be better off with an elliptical because it’s low impact and easier on your joints than a treadmill. Both machines can take up a lot of space, but make sure you take into account your exercise space and which might fit better. Prices can also be very similar, so that’s probably not a deal breaker either way. And when it comes to burning calories, both machines are very proficient. So, when it comes down to it, it really all depends on what type of exercise you want to do. If you have any questions or comments, please leave them below and I’ll get right back to you.